Captain Cook Cruises offers a wide range of cruise options from Perth to the Port City of Fremantle or upstream, towards the magnificent Swan Valley wine region. They have three scheduled departures to and from Fremantle daily. 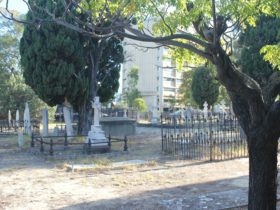 These departures can be combined with a buffet lunch, Fremantle tram tour, city bus tour or a zoo entry ticket to ensure you make the most of your time in Perth. Their upstream cruises can be enjoyed by a full day or half day experience. Their full day wine cruise is the only experience that will take you from a busy Central Business District to a prestigious wine growing region and back all in the one day. 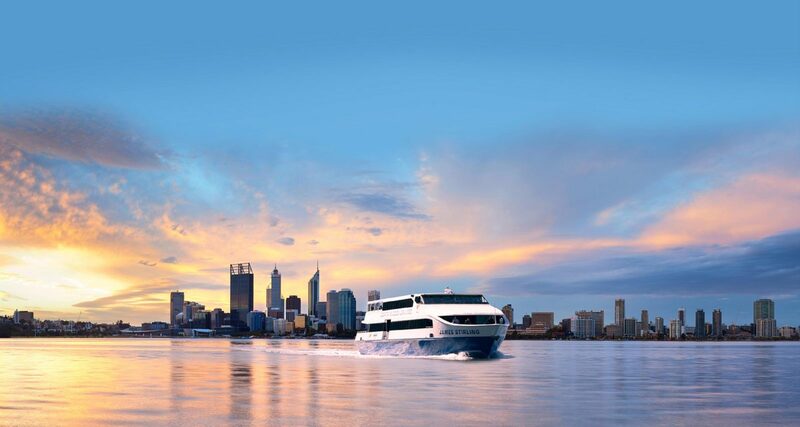 They also host Perth’s number one all-inclusive dinner cruise as passengers view the city lights of Perth. Whether you’re celebrating a special event, organising a group night out or just looking for a dinner with a difference, this dinner cruise is for you. Sit back, relax and enjoy the evening atmosphere whilst their crew helps make your experience one to remember. Upon departure the tempting hot buffet awaits, complemented by an assortment of fresh seasonal salads and cold dishes. Complimentary standard beer, wine and soft drink is also available for the duration of the cruise. Enjoy live entertainment on board throughout the evening. Captain Cook Cruises have teamed up with The Reveley and The Camfield to present you with the ultimate AFL Dine and Cruise package! Enjoy a 2 course set menu lunch at The Reveley taking in the peaceful views of Elizabeth Quay before bounce down. Jump on their VIP cruise transfer to Optus Stadium arriving 1 hour prior to the game. You will receive VIP access to The Camfield – Western Australia’s favourite pre-footy beer garden before you take your seats at the stadium or choose to stay and watch live on the big screen amongst the game day atmosphere! Nowhere else in Australia can you depart from a capital city and arrive in an award winning wine region on the same day. 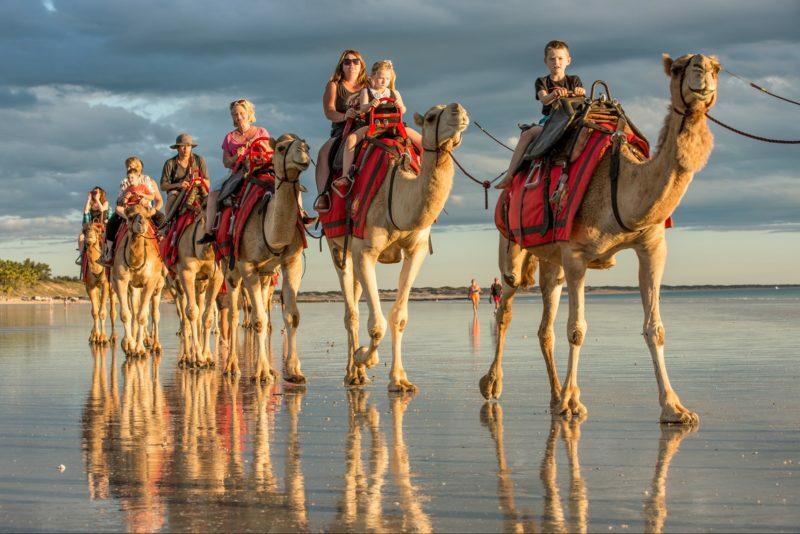 Relax and enjoy the iconic city skyline and beautiful picturesque landscape as you escape the city and cruise leisurely into the upper regions of the Swan Valley. You’ll be treated to a delicious, filling two course lunch from the coveted Sandalford Estate following an exclusive behind-the-scenes tour of the winery and a one of a kind wine tasting! All of this is capped off with live entertainment and tantalizing desserts on board your return cruise. 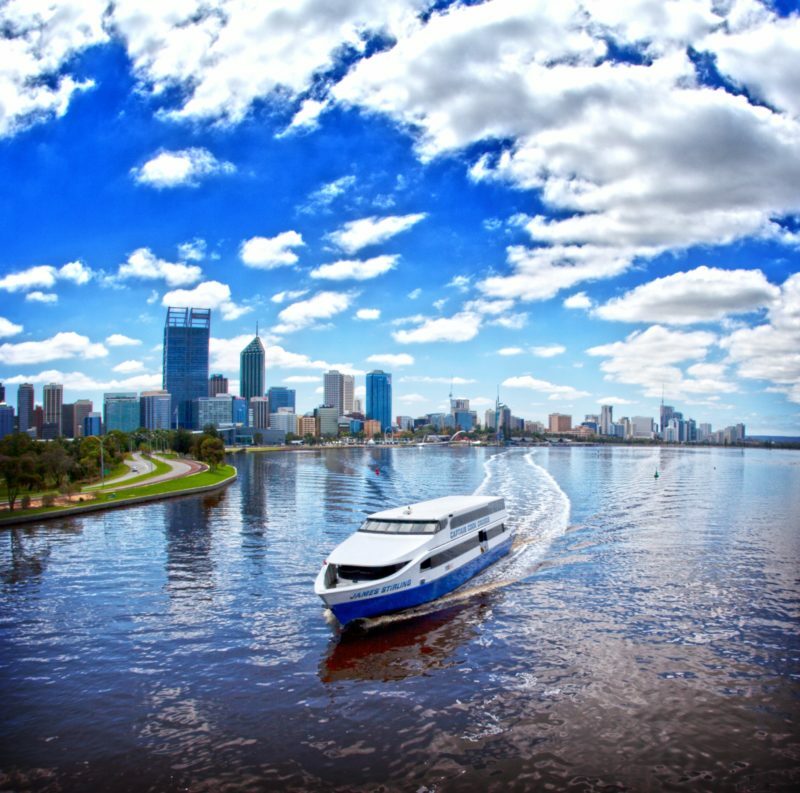 Take in the wonderful sights that can only be viewed from the Swan River as you cruise the calm waters between Perth and Fremantle on a direct return service. Cruise past key sights including Perth’s impressive Bell Tower, the restored Swan Brewery, Kings Park, Royal Perth Yacht Club, the magnificent mansions overlooking the Swan River and Fremantle’s busy inner harbour. Enjoy the Captain’s commentary and complimentary tea and freshly brewed Yahava coffee for the duration of your cruise to Fremantle and then back to Barrack Street Jetty. Travel from Perth to Fremantle on a relaxing and picturesque Swan River Cruise whilst listening to your Captains’ detailed and entertaining commentary. You’ll journey along the river admiring the waterfront scenery of Perth’s downtown skyline, upscale suburbs and yacht clubs – not to mention the beautiful cliff faces of Black Wall Reach, the famous Point Walter “Spit” (as the locals call it) and Perth’s iconic “Blue Boat House”, the Crawley Edge Boatshed. Disembark in Fremantle and spend your day freely adventuring around the beautiful historic port city at your own leisure. Departing Barrack Street Jetty and just a short stroll for Perth’s central business district, the Twilight Cruise from Captain Cook Cruises offers you a chance to relax at the end of the day and take in the beautiful city skyline and panoramic views as you slowly cruise around Perth and it’s surrounds. 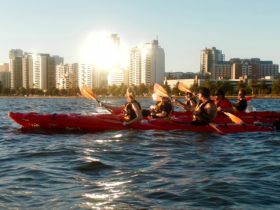 Perfect for young and old, families or work colleagues, take in the beautiful Swan River and city skyline. 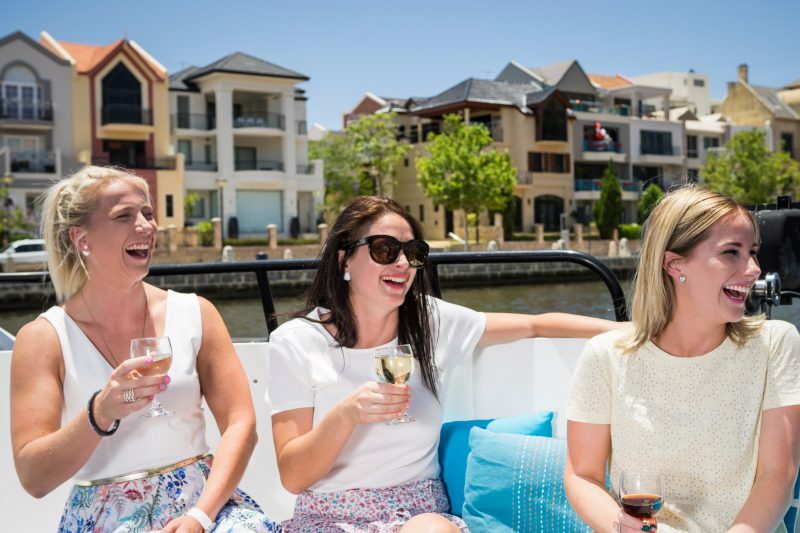 This scenic cruise takes in the Old Swan Brewery, South Perth and Coode Street before heading towards the Burswood Peninsula and Claisebrook Cove. A complimentary drink is included with light snacks and further beverages available for purchase on board. 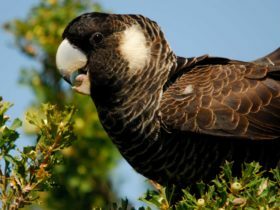 Discover the delights of the Swan River cruising between Fremantle and Perth on the return cruise. Enjoy complimentary tea and freshly brewed Yahava coffee as your Captain points out all the sights along the river. Cruise past key sights including Perth’s impressive Bell Tower, the restored Swan Brewery, Kings Park, Royal Perth Yacht Club, the magnificent mansions overlooking the river and Fremantle’s busy inner harbour. There is no better way to combine a delicious lunch, informative sightseeing tour of Fremantle and a wonderful cruise on the magnificent Swan River than on Captain Cook Cruises “Lunch and Tram Tour”. Available daily, this unique cruise includes a buffet of Western Australia’s abundant seasonal fresh produce as well as full bar facilities on board. Catch the 9.55am departure to Fremantle and take in the wonderful sights of Perth and its surrounds that can only be viewed from the Swan River. Enjoy Captain’s commentary and complimentary tea and freshly brewed Yahava coffee. On arrival in Fremantle, board the Fremantle Tram for a fascinating tour of the old port city with guided commentary. The tram will showcase some of Fremantles most renowned and stunning heritage sights such as the Fremantle Prison and the Fishing Boat Harbour. Re-board your vessel once the tram tour is complete at 12:45pm for a delicious buffet lunch and a complimentary glass of beer, wine or soft drink as you return to Perth in style. Make a day of it in Fremantle with free time to explore the beautiful and iconic Port City. 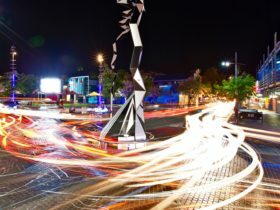 Explore the Cappuccino Strip, Fishing Boat Harbor and the many sights and museums Fremantle has to offer. Take in the wonderful sights that can only be viewed from the Swan River as you cruise the calm waters between Fremantle and Perth. Enjoy the Captain’s commentary and complimentary tea and coffee for the duration of your cruise. Once you arrive in Fremantle this extended return cruise allows you the opportunity to hop off and explore our unique and historic port city at your own leisure. If cruising from Fremantle to Perth at 3:45pm, take advantage of the complimentary wine tasting on board. Take in the wonderful sights that can only be viewed from the Swan River as you cruise the calm waters between Fremantle and Perth. Enjoy Captain’s commentary and complimentary tea and freshly brewed Yahava coffee for the duration of your cruise. This extended return Fremantle Cruise allows you the opportunity make a whistle stop tour of Perth with 1 hr 35 mins free time to explore our vibrant main city. Spend your free time exploring the vast shopping malls, Kings Park Botanical Gardens, the Bell Tower or even enjoy a delicious lunch at one of the numerous restaurants at Barrack Street Jetty or the new Elizabeth Quay development. There is no better way to combine a delicious lunch and a wonderful cruise on the magnificent Swan River than on the Fremantle Lunch Cruise. Available daily from both Perth and Fremantle, this unique cruise includes a buffet of Western Australia’s abundant seasonal fresh produce as well as full bar facilities on board. Upon boarding the vessel you are shown to your reserved table. Complimentary tea or coffee is served during the cruise downstream to the port City of Fremantle. Upon the return journey, you are invited to enjoy the hot buffet complemented by seasonal salads, all followed by a scrumptious dessert buffet. With a fully stocked bar on board why not enhance your light lunch with an ice cold beer, chilled chardonnay or smooth shiraz. Upon boarding the vessel you are shown to your reserved table. Complimentary tea or coffee is served during the cruise to the port City Perth. Upon the return journey, you are invited to enjoy the hot buffet complemented by seasonal salads, all followed by a scrumptious dessert buffet. With a fully stocked bar on board why not enhance your light lunch with an ice cold beer, chilled chardonnay or smooth shiraz. Love beer? Fremantle has quickly become a haven for beer enthusiasts and what better way to immerse yourself in beer than with Captain Cook Cruises Fremantle Craft Beer Tour and Cruise. The full day tour and cruise allows you to take in amazing sights as you cruise down the Swan River before disembarking for an informative walking tour to three of Fremantle’s top pubs. This tour includes extensive beer tastings of some of the famous beers Western Australia and Fremantle have to offer, along with a mouth-watering pub lunch before returning on a relaxing cruise back to Perth central business district in the afternoon. A full day tour of the Swan River, South Perth and Perth Zoo. Combine one of Captain Cook Cruises return downstream cruises from Barrack Street Jetty, Perth to Victoria Quay, Fremantle (and back again) with entry into the world famous Perth Zoo. Transfer across the river from Elizabeth Quay to South Perth on the Transperth Ferry is also included in the ticket fare. The 9.55am Swan River Scenic Cruise option will have you back in Perth at 12.40pm to give you time to visit the Perth Zoo on the same day. Travel from Fremantle to Perth on a relaxing and picturesque Swan River cruise whilst listening to your Captains’ detailed and entertaining commentary. 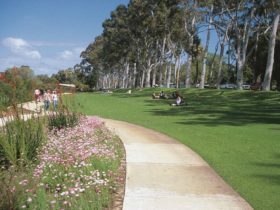 You’ll journey along the river, admiring the waterfront scenery of Perth’s downtown skyline, upscale suburbs and yacht clubs – not to mention the beautiful cliff faces of Black Wall Reach, the famous Point Walter “Spit” (as the locals call it) and Perth’s iconic “Blue Boat House”, the Crawley Edge Boatshed.